Amy Charron Case: Authorities In Texas Are Trying To Locate Missing Mom (UPDATE)/Found????? Have you seen Amy Charron? If so, contact Houston police. Authorities in Texas are attempting to determine what happened to a missing mother who has not been seen for three weeks. 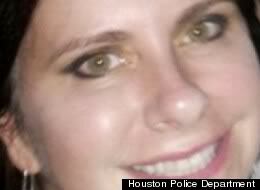 UPDATE: Jodi Silva, a spokeswoman for The Houston Police Department, is now reporting Amy Charron has been found safe. "I just got a call from an investigator who told me that Amy Charron was located," Silva said. "She's with a friend. [The investigator] had not updated his office report. He has met with her and he saw her in person. She's fine. She had chosen not to be found." Amy Charron, a 44-year-old from Houston, was reported missing to police on September 13. Friends and family stated that they had not heard from her since August 31. "This is one of the more bizarre missing person cases I have seen," Jodi Silva, a spokeswoman for the Houston Police Department, told The Huffington Post. According to Silva, when the manager of Charron's apartment building opened the door to Charron's apartment, they discovered that her dog had been left alone for an extended period of time. Charron's cell phone and vehicle, a tan-colored Mini Cooper convertible with license no. 399LHC, are also missing. Asked whether authorities have attempted to ping the cell phone to determine its location, Silva replied, "We don't disclose whether we do or don't." Authorities have interviewed Charron's friends, whom they describe as "mostly Internet and blogger friends" and have spoken with her parents and sibling. According to Silva, Charron had been involved in a custody dispute with her parents and was having financial problems. "Her mother did say that they have been trying to get her assistance. They had been trying to get her help," Silva said. Police have entered Charron into both national and state databases and an all-points bulletin has been issued for her vehicle. "It's an active case," Silva said. "We're still investigating and speaking with people. She just kind of disappeared, but it does seem strange she would leave her dog. Her dog did seem important to her." Amy "Kristine" Charron is described as a white female, 5'9" tall, 172 pounds, with brown hair and hazel eyes. Anyone with information on her whereabouts is asked to call the Houston Police Department Missing Person's Unit at 713-731-5223.